Slice open the delicate outer Fresh Mozzarella shell of Burrata to discover creamy Stracciatella inside. 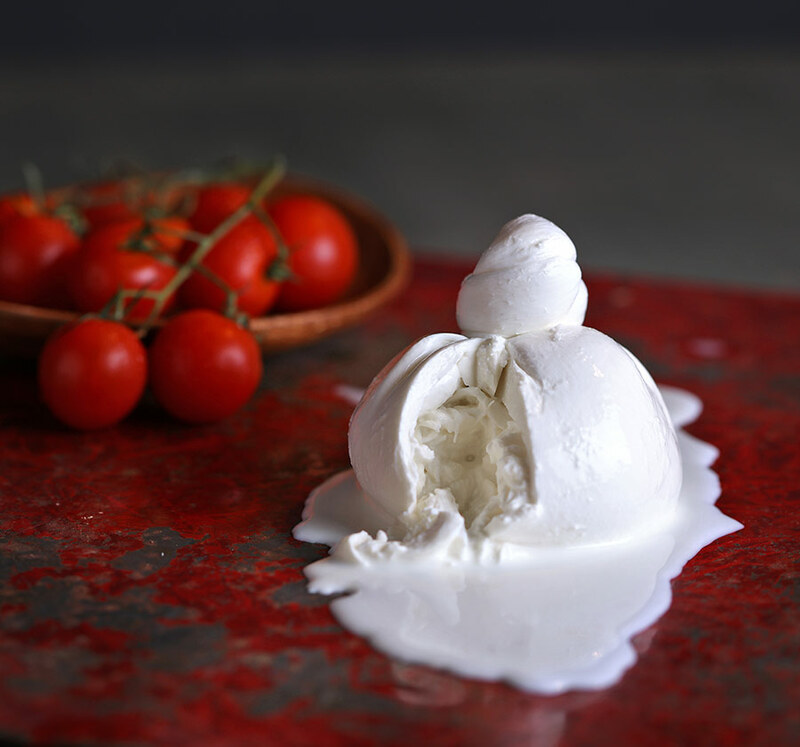 From the Italian word stracciato or torn apart, Stracciatella is fine shreds or strands of Fresh Mozzarella combined with fresh, full fat cream for a wonderful texture and flavor. Try Burrata or Stracciatella served over pasta, crostini or salad for a rich and savory experience.